Gottman Method Couples Therapy is based on the 40 years of breakthrough research of John Gottman, Ph.D., on marriage and relationships with over 3000 couples, including one group for more than 20 years. He is world renowned for his work on relationship stability and divorce prediction, involving the study of emotions, physiology, and communication, and is the author of over 200 published academic articles and author or co-author of 41 books. About 20 years ago his wife, Julie Schwartz Gottman, Ph.D., a highly respected Clinical Psychologist and educator in her own right, encouraged John to put his research into clinical practice and to develop Gottman Method Couples Therapy. Can we predict who will get divorced? What predicts people’s adaptation to major life transitions, e.g. becoming parents? What makes relationships work well? What helps people have access to their sense of humor when fighting? 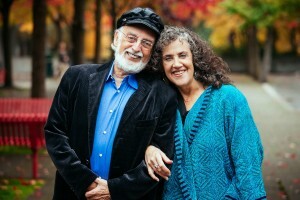 Through multi-dimensional, thorough, and extensive observational research, John Gottman was able to predict on average in seven studies with over 90% accuracy which couples would divorce and which would stay married, and among those who did stay married, which couples would be happy and which would be unhappy. He also observed what he came to call the Masters and Disasters of Relationship. He defines Masters of Relationships as two people who stay together, who report high relational satisfaction and who like and enjoy one another. These relationships are suffused with a much higher percentage of positive interaction, even when discussing a conflict, than a couple in distress. Gottman Method Couples Therapy is modeled on interactions of the Masters of Relationships and the pitfalls of the Disasters. Through his research, John Gottman not only gleaned which behaviors predict divorce, but learned to decipher what strengthens relationships; that is, what keeps a relationship stable and vibrant in our busy, stressful times. He learned that couples who stay happily married have everyday interactions with one another that are very positive. Secondly, the couples who are happily married are far less negative and more gentle in the ways they handle conflict. Through intervention studies, he learned that these were not just the effect of happy relationships, but also the causes. The results of John Gottman’s studies are what form the basis of Gottman Method Couples Therapy and the workshops. Excerpted from J. Gottman & J. Schwartz Gottman (2013), The Art of Science & Love: A Weekend Workshop for Couples, Seattle, WA: The Gottman Institute, pp. 1-2.